During Friday night’s game against Pacifica High School, Dana Hills High School students celebrated their homecoming. 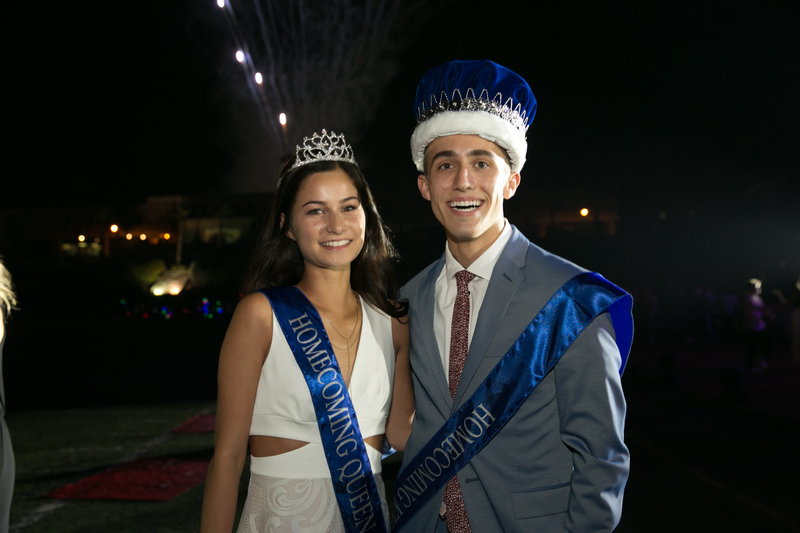 Kalani Fajardo and Jimmy Quick were named Homecoming Queen and King of Dana Hills High School Friday, Sept. 9, during the homecoming game against Pacifica High School. The princes were Dean Diakov, Jason Rothman, Zack Stirtz, Noah Wagner and Hayden Williamson. The princesses were Courtney Frickman, Jasmine Hosseinipour, Reagan Orloff, Desiree Sabri and Sidney Timsit.